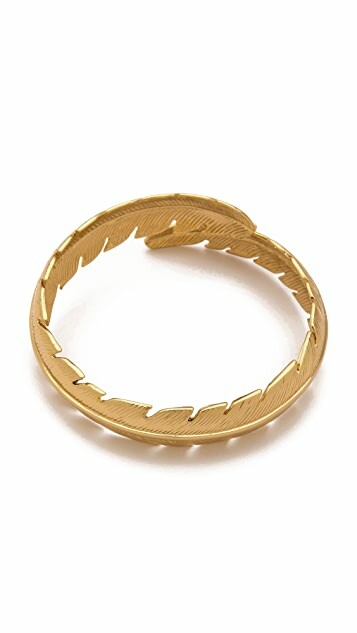 This 18k gold-plated cuff features textured feather detailing. * 3/4" (2 cm) wide. 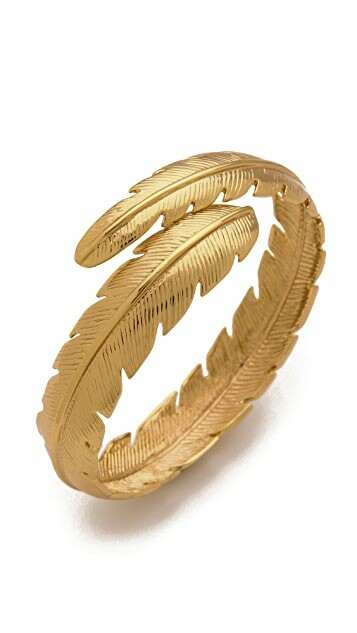 "Edgy but elegant" is the motto of CC Skye, who founded her eponymous, LA-based jewelry line in 2004. The brand quickly became a wardrobe staple for stylists and the Hollywood elite, and in 2006 she brought her signature luxe aesthetic to a new line of handbags. Combining soft Italian leathers with chunky gold hardware crafted in her own jewelry factory, CC Skye effortlessly blends bold colors with modern silhouettes to create accessories that are both striking and luxurious. Got this for a friend of mine for her birthday. It is very good quality and looks great with a lot of things! Highly recommend! 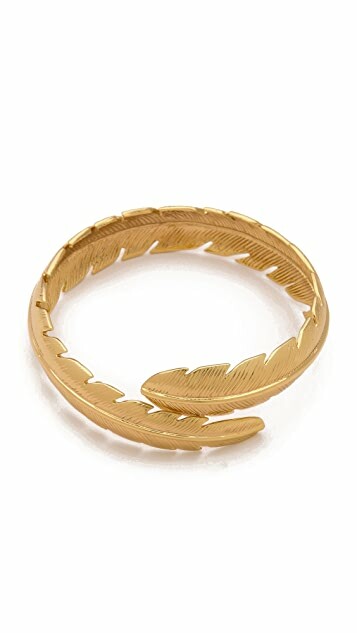 Love this bangle! 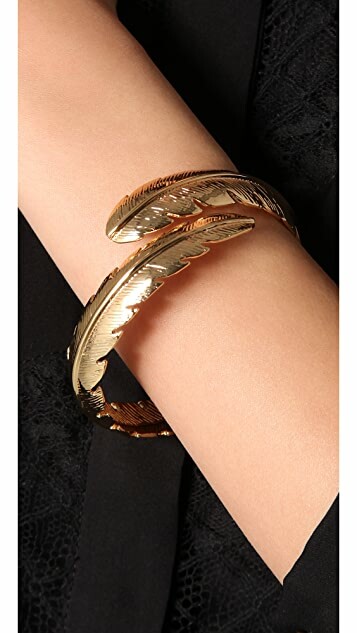 In summer I wear it on a daily basis, so easy to adjust and it stays in place. Would highly recommend it! it's a bit big for me but you can squeeze it to make it smaller. love it!